Why is Irrigation Tech the best choice for your automatic lawn and garden irrigation system needs? Since 1983, Irrigation Tech has built its reputation on service, support, and quality lawn watering system installations at a fair price. In 1998, to ensure that we never deviate from what got us to this leadership position in the first place, we decided to limit our growth to no more than 200 new customers per year. Irrigation Tech has installed and serviced more automatic lawn irrigation systems than any other company in Monroe County. You benefit from our experience! We currently maintain over 1800 systems. Meet our Customers. Expertise to do the Job Right – The First Time! Each of our techs has at least 10 years of experience. We have over 163 combined years of experience. That’s more than any other company in western or central New York. We offer a five-year warranty (100% on parts and labor). No one beats this level of commitment to guarantee customer satisfaction. 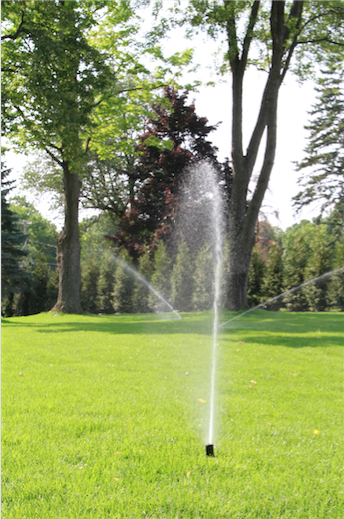 Irrigation Tech has more trained irrigation staff, service vehicles, installation equipment and diagnostic service tools than any other lawn irrigation company in the Rochester, NY area. More resources mean a quicker response to your calls, greater capabilities, more skills and the most convenience for you. At Irrigation Tech, there are no “cookie-cutter” approaches. Your system will be custom designed for your landscape and your property. Irrigation Tech has gained the highest and most certifications from the most trusted name in the irrigation industry – The Irrigation Association. We also have their Select Certified designation. We have two NYS Certified Nurserymen. We are rated A+ by the BBB. We are an EPA Watersense Partner. Take a closer look at our Awards & Certifications. We constantly strive to improve our abilities and regularly attend educational programs in horticulture, landscaping, and irrigation to guarantee the absolute best service for our customers. Meet the Team. Irrigation Tech is a Select Rain Bird Contractor and we use only the finest Rain Bird supplies for every project. All of our customers have really nice things to say about us. Read our Testimonials.